DNA analysis by Jose Vouillamoz in 2008 revealed Savoie red variety, mondeuse noire, to be either a half-sibling or grandparent of Australia’s signature variety, shiraz. Mount Majura’s Frank van der Loo first tasted mondeuse in France’s Savoie area early this century and was “struck by its delicious spicy character”. He planted mondeuse at Majura in 2010 and released the first wine in 2015. The second vintage provides unique medium-bodied drinking, featuring bright, fruity flavours reminiscent of summer berries infused with spice. Hunter-based David Hook sources fruit from the NSW Central Ranges area, including the Hilltops Region, centred on Young. Piedmontese red variety nebbiolo makes light coloured, highly aromatic wines with an at-times aggressive bite of tannin that seems at odds with the light colour. Hook’s version captures the variety’s alluring floral notes and fruity–savoury flavours. However, while the tannins give notable grip to the finish, they are comparatively tame for nebbiolo and work well with savoury food. Former Canberran Jim Chatto now heads the McWilliams winemaking team where he presided over production of this juicy, loveable Canberra shiraz. I came across it in Dan Murphys, Cairns, while guiding an old mate through the confusing world of wine. Served lightly chilled in the warm FNQ climate, the wine impressed for its vivid crimson colour and equally vivid fruit flavours. A touch of spice, typical of Canberra shiraz, and fine, soft tannins completed a delicious drink-now dry red of real character. Touriga provides an earthy, grippy contrast to Mount Majura’s bright and chirpy mondeuse, also reviewed today. Touriga shares mondeuse’s vibrant freshness and medium body. But earthy, savoury character and fine, grippy tannins give it a distinctly separate character. Winemaker Frank van de Loo suggests this late ripening variety’s success in Canberra is due to recent warm vintages. He writes, “The 2015–2016 season was our warmest to date (as measured by heat degree days), illustrating the ongoing effect of global warming”. Peter Barry and sons Tom and Sam put a bit of the mongrel into their new riesling. It zigs away from Australia’s traditional pure, delicate, lime-like style towards greater ripeness, with notably more body, grip and texture. Later harvesting, partial barrel fermentation in older oak and prolonged ageing on spent yeast cells contributed to the more assertive style. However, it remains bright, fresh, vibrant and recognisably riesling. The intensity of fruit flavour and strong acid backbone suggest good ageing potential. However, it remains to be seen whether the richer texture and grip add to its age-worthiness or bring the wine to early maturity. Fermentation and maturation in oak barrels introduces aromas, flavours and textures not found in the grape itself. The affect of oak varies from resiny, woody and intrusive to a symbiotic one, where the oak lifts the whole wine to another level of drinking pleasure, even of beauty. We find this in the painstakingly handcrafted wines of Curly Flat. The interplay of intense fruit flavours with the oak, and the spent yeast cells during maturation, results in a powerful, multi-dimensional, silky, elegant dry white. In 2012 eastern Australian vignerons shivered through their second consecutive cool, wet vintage. But their Western Australian counterparts experienced, “an almost complete lack of summer rain with early season high temperatures giving way to mild middle and late vintage pattern”, writes Hay Shed Hill owner, Michael Kerrigan. The sunshine shows in Kerrigan’s lovely blend. Ripe, juicy, soft shiraz forms the base of the blend, while a small amount of tempranillo adds tannic grip and exotic spicy notes. If you enjoy Hunter semillon’s idiosyncratic style, Elizabeth remains one of Australia’s best value cellaring wines – and a great beneficiary of the screw cap. For a modest price, you can cellar a dozen, drink a bottle every year or two, and enjoy the journey from the light and lemony freshness of youth to the honeyed, toasty mellowness old age. The screw cap ensures the sound condition of every bottle opened over the years. Before the screw cap, cork-sealed semillons yielded widely varying results, from the brilliant to undrinkably oxidised, or cork tainted. A recent masked tasting paired Lindemans St George Vineyard Coonawarra Cabernet Sauvignon1998 with Chateau Calon-Segur 1996. The host, Bob Irwin and wife Chizuru, couldn’t have found more perfect examples of these regional specialties. From the first sniff, wine number one could only have been a Coonawarra cabernet; and wine number two a classic “claret” – a blend of cabernet and merlot from Bordeaux’s Medoc sub-region. The 17-year-old St George remained vibrant, varietal and beautifully elegant – and an absolute pleasure to drink. The current-release 2012 vintage possesses similar qualities and should provide outstanding drinking for several decades. David Walsh’s Moorilla winery, Moo Brew brewery and Museum of Modern and New Art, share a site just a short drive from Hobart. The brewery’s wheat beer, made in the Bavarian style, appeals for its pale lemon, cloudy appearance, distinctive banana-like aroma, fresh, lemony palate and delicate clove-like aftertaste. Young Henrys of Newtown, Sydney, base their Real Ale on the English best bitter style. Medium, bright-amber coloured, it offers a rich, warming, malty backdrop to its quite assertive hopping. The hops affect the aroma and flavour and give a lingering bitterness to the finish. Our tennis, red wine and curry group tested David Paxton’s blend of shiraz and grenache with a range of spicy flavours, including fairly hot chilli. Generally we find fresh, fruity young reds with soft tannins retain their flavours and sit comfortably with a diversity of spicy flavours and food textures. Paxton’s wine sits square in this style, offering the bright, cherry-like aromas and flavours of shiraz, combined with the musk and spice of grenache. Chilli alone knocked the fruit out momentarily, but it bounced back deliciously and soon enough the bottle emptied. The distinctive Vinaceous brand brings a colourfully labelled, vivacious range of wines to your dinner table. The striking “Red Right Hand” label portrays the naked-torso flame-thrower in action – which seemed appropriate as we slurped it down with the beef vindaloo and butter chicken. The vivacity of fruit carries this red joyously across the palate. It’s a festival of summer berry flavours and spice, with a savoury undercurrent and assertive though ripe and soft tannins. The distinctive tannins most likely come from the tempranillo component of the blend. Jason and Alicia Brown of Moppity Vineyards, Young, added chardonnay to their menu by acquiring the Coppabella vineyard in the higher, cooler Tumbarumba region. They produce three chardonnays from the site: the very serious “Sirius” 2013 ($60), the taut, slow evolving (and sensational) “Crest” 2012 ($x, one trophy, two gold medals) and the classy, entry-level “Single Vineyard” 2012 (one gold medal). From a cool vintage in a cool region, it reveals the shimmering grapefruit- and nectarine-like varietal flavour of chardonnay beautifully woven in with the textural and flavour inputs of barrel fermentation and maturation. The price is likely to be discounted below the recommended $20. At the excellent St Isidore restaurant, Milton, we kicked off a joyous lunch with the delicious Robert Stein riesling. Riesling can be austere when young. But winemaker Jacob Stein backed the natural lime-like varietal flavour of this one with gentle mid-palate texture. The flavour comes from the family’s 38-year-old vines, located at about 600 metres. And he uses three techniques to build texture: allowing about ten per cent of the blend to ferment naturally on skins for about a week; leaving the wine on spent yeast cells for a short period; and arresting the ferment to leave about eight grams a litre of grape sugar in the wine. Nine grams a litre of natural acid offsets this low-level sweetness, creating a mouth-watering sensation of full flavour, smooth texture and a tease of sweetness, with brisk, refreshing acidity. The wine will be released mid December and will be available at cellar door (robertstein.com.au) and selected retail outlets, including Plonk, Fyshwick. In 2002, Gary Potts and Frances Perkins planted the 1.6-hectare Rusty Fig vineyard between Bermagui and Cobargo. They produce red and rose wine from the Spanish variety tempranillo and two whites, verdelho and savarino (made from the savagnin blanc grape). All of the wines are made by Brian Sinclair at Brindabella Hills Winery, Hall. Rusty Fig Savarino 2014 worked well with a variety of seafood at St Isidore restaurant, Milton, recently. It provided an interesting departure from riesling, sauvignon blanc and chardonnay with its medium body, citrus-like flavours and dry savoury finish. It’s available at Plonk Fyshwick, several south coast bottle shops between Moruya and Eden and by the dozen only online (rustyfigwines.com.au). What a surprise to find on St Isidore restaurant’s list a wine made from Trentino’s little-known teroldego grape – a relative of both shiraz and pinot noir. Geoff Hardy planted the variety at Langhorne Creek in 2003 and later at Kuitpo in the cooler Adelaide Hills. Hardy’s son, Sebastian, says until 2009 they made the wine from Langhorne Creek fruit then moved to blends from both regions. They now favour the material from the Adelaide Hills for its brightness and ability to develop flavour at low potential alcohol levels. The 2012 appealed for its medium body, fresh mulberry and blueberry-like fruit flavours, fresh acidity and savouriness – a tasty, refreshing red to enjoy on a hot day down the coast. Canberra’s neighbouring and slightly warmer Hilltops region rivals us in shiraz quality but appears to have the edge with cabernet sauvignon. Jason and Alicia Brown’s 2013 Moppity, with three trophies and two gold medals, shows what the region can do. The medium-bodied, elegant red displays pure, bright, ripe-berry varietal aroma and a palate to match – complete with juicy mid-palate flesh that easily carries the firm backbone of tannin. Moppity vineyard produces a potentially confusing range of six shirazes under various Moppity and Lock and Key labels. The wines range in price from as low as $14 for the basic Lock and Key wine, to $120 for Moppity Eclipse. The quality is exceptional across the range, which has collectively won three trophies and 23 golds this year. Moppity Reserve 2013 triumphed at this year’s Great Australian Shiraz Challenge. It was the first NSW wine to take the title in the show’s 20-year history – against 400 shirazes from 60 regions. It’s a powerful but elegant, supple and savoury shiraz, with an underlying fruit flavour reminiscent of the region’s juicy, ripe, black cherries. The value pick of the range is Lock and Key 2013 (three gold medals). Western Australia’s Houghton brand was long ago absorbed into Hardys and is now part of the Accolade Wine Group. Under Hardys, Houghton expanded its WA offerings beyond its Swan Valley base to cooler regions hundreds of kilometres to the south. Those southern areas of Western Australia pretty well own the sauvignon blanc–semillon blend category in Australia, albeit in a range of styles. Houghton’s blend from the Pemberton and Margaret River regions delivers lively grassy and passionfruit-like flavours. All the emphasis is on fruit and drink-now pleasure. The Lynn family’s Majella vineyard produced grapes for some of Coonawarra’s best reds, including Wynns, before the family finally turned to making wine under its own label in the early nineties. Majella quickly built a big reputation, while maintaining modest prices. In the excellent 2012 vintage, for example, Majella cabernet offers wonderful drinking and outstanding long-term cellaring at a fair price. This is elegant, perfectly balanced Coonawarra, built on deep, cassis-like varietal flavours backed by firm but ripe tannins – all the elements required for longevity. Australian pinot comes in many styles, from the comparatively burly and tannic to more highly fragrant, lighter bodied fruity versions like Holm Oak’s Ilex. It’s not trying to be a complex Burgundy look alike, but more a fragrant, fresh and fruity expression of the grape variety – of a style achievable only in a cool growing region like Tasmania. It captures pinot’s lively raspberry-strawberry and red cherry flavours, but at the same time offers a little texture and a fine backbone, based on tannin and acidity. The Piedmont white variety, arneis, now grows in several Australian regions. But Holm Oak’s Bec Duffy claims to be the only Tasmanian vigneron currently doing so. She writes, “Being the coolest areas where arneis is grown in Australia, we tend to get more floral, melon and citrus characters as opposed to the peach and almond characters this variety is generally known for”. Duffy’s style is most appealing, offering a tangy, melon-rind-like tartness with mouth-watering lemony flavour, on a soft, richly textured, fresh palate. Although it weighs in at a modest 11.6 per cent alcohol, Frankland Estate’s single-vineyard riesling delivers big loads of aroma, flavour and texture. Indeed, the aroma and flavour volume seems particularly generous for the generally delicate riesling variety, suggesting a warm ripening period in 2013. The big aroma, however, remains pure varietal riesling in an appealing lemon-like way. The lemony varietal character flows through to the round, soft palate and slightly grippy, dry finish. Clonakilla’s cash cow, to be released 2 September, reveals all the ripe and juicy glory of the warm 2013 vintage. From the Hilltops district, centred on Young, it’s reminiscent in its sweetness of ripe, black cherries, the other irresistible regional specialty. The fleshy, chewy fruit comes with an exotic spicy character and the sleek, silky texture of well-ripened tannins. All that fruit, sweetness and soft tannins means easy drinking now. But the wine’s intensity and harmony suggest good cellaring for perhaps a decade in the right conditions. Dino Illuminati’s medium-bodied, savoury red accompanied our recent drive from Darwin, south to Katherine, west to Kununurra, WA, down to the Bungle Bungle Range, up to Kununurra, then west along the Gibb River Road, north to the Mitchell Falls, then south and west on the Gibb road again to Windjana Gorge. A Chateau Shanahan favourite since its Australian debut in 1991, the wine proved itself (lightly chilled) in the great Australian outback. It starts with clean, fresh fruit flavours, then a delicious, teasing, Italian savouriness sets in, distinguishing it from the generally more fruity Australian styles. Does Cooper’s Extra Strong Vintage Ale really age well? With careful cellaring, will it, as Dr Tim Cooper claims, “mature gracefully with age and develop rounded, rich toffee characters”? We tested the beer in early January, lining up the last six vintage (2008 to 2013), all from the Schloss Shanahan cellars, for a group of beer drinkers of various ages. First, we compared the youngest to the oldest. The 2013 led with fresh, vibrant hoppy characters; the 2008, on the other hand, delivered smooth malt, caramel, honey and toffee-like flavours. The middle beers revealed shades of this hop-to-malt transition, and each had its champion among the tasters. One preferred the youngest, another the oldest, and several opted for the beautifully balanced, lively 2010 vintage. All six remained in good nick and even the oldest seemed fresh under the mature toffee-like flavours. The release of the 2011 Penfolds Shiraz Mourvedre Bin 2, an old label from the 1960s resurrected in the 1990s, and a “march mataro madness” campaign by Barossa wine merchant David Farmer, begs the question of what this great old variety really is. There’s not a lot of it grown in Australia – in 2008 just 785 hectares, mostly in the Barossa Valley – yet it’s survived here since the 1830s. And even if we’ve not heard of it, we’ve almost certainly enjoyed mourvedre (aka mataro), acknowledged or not in red blends or as an anonymous component in Australian “port”. Descriptions of mourvedre contradict one another. Can it really be soft and fruity but also tannic and iron-hard; both low in acid with little colour and searingly acidic and opaque? The answer appears to be yes. Consider these contrasting accounts of Spanish and Australian mourvedre/monastrell/mataro from Jancis Robinson’s The Oxford Companion to Wine and Rolf Binder’s Veritas Winery website. Jancis Robinson: “The wine produced from monastrell’s small, sweet, thick-skinned berries tends to be heady stuff, high in alcohol, tannins and a somewhat gamey almost animal flavour”. Rolf Binder: “A mataro berry is about 1.5 times larger than a shiraz berry so bleeding off juice increases the juice to skin ratio” – in short, Binder bleeds juice off to increase extraction of tannin and colour, something his Spanish peers don’t’ need to do. Robinson also writes that in southern France “mourvedre is considered an improving structural ingredient – a sort of vinous RSJ” – suggesting its firm tannins give the backbone lacking in the companion varieties, shiraz, grenache and cinsault. Barossa vigneron Dean Hewitson offers two possible reasons for southern French mourvedre’s comparative toughness. The first, and most likely, he believes, is that varieties are mixed in the vineyard in the Rhone Valley but they ripen at different times. Therefore if a grower harvests a plot of ripe grenache, the mourvedre mixed in it with it will be unripe, with hard tannins. The second is that the devastation of European vineyards by phylloxera in the late nineteenth century may have resulted in significant clonal differences between Australia and Europe. Barossa plantings are all pre-phylloxera and may be “clonally softer in tannin”, suggests Hewitson. But then as we digest that, Penfolds notes, based on Barossa fruit, seem more consistent with Robinson’s, “Mourvedre is dark in colour, smells of Provençal herbs and spices and has plenty of tannin stuffing. This is a wine varietal greatly valued by Penfolds winemakers for its blending attributes; toning down the exuberant qualities of shiraz, while adding overall complexity and palate grip”. Because mourvedre buds and ripens very late, it needs plenty of late season heat. Little wonder, then, that it’s at home in the hot Barossa and Spain, but pushes only into southern France, and even there can struggle to ripen. In Australia as in France and Spain, mourvedre plays mainly a support role to other varieties, historically for “port” and increasingly for red table wine. In the mid eighties the so-called Rhone Rangers led the Barossa revival of grenache-shiraz-mourvedre blends. This group, including Charlie Melton, Rocky O’Callaghan and Bob McLean, Chris Ringland and Rolf Binder, took the unique beauty of the Barossa’s very old vines to the world. Mourvedre played a key role in the blends. But they weren’t the first to gain recognition, as Penfolds Shiraz Mataro Bin 2, made from 1960, remained popular until its discontinuation in the seventies. Penfolds resurrected it in 1980 and 1981, then discontinued it, shipping the remainder to the UK. Production of Bin 2, now labelled as shiraz mourvedre, commenced again in 1990. In The Rewards of Patience, edition four, 2000, Penfolds claims Bin 2 opened the UK market to Australian wine, “Originally, Bin 2 was a result of experimental work on the medium-bodied, soft-finishing ‘Australian Burgundy’ style, traditionally based on shiraz. The addition of mourvedre may also explain Bin 2’s success with British wine drinkers, as this variety has the effect of moderating the richness of shiraz, making the wine leaner and more European in both style and structure”. Mourvedre seems set to continue its supporting role to shiraz and grenache. But Hewitson and Binder have both made jaw-dropping straight varietals as thrilling as any red on the market. However, Dean Hewitson cautions, “It’s a matter of understanding when it’s a blending grape and when it’s not to blend”. He sources mourvedre from a dozen or so vineyards across the Barossa, several of them more than a century old, but still uses it principally as a blender, “to add complexity to Miss Harry [his grenache, shiraz, mourvedre, cinsault blend] and dimension to Ned and Henry’s [shiraz with a splash of mourvedre]”. He adds that mourvedre’s not as forgiving a variety as shiraz or cabernet and it needs to be from a very special site – typically in sandy soils – to stand on its own. Hewitson made his first straight varietal in 1998 from eight rows of mourvedre vines, remnants of a larger vineyard planted by Friedrich Koch in 1853, near the North Para River at Roland Flat, Southern Barossa. He believes the vines to be direct descendents of the collection brought to Australia by James Busby in1832. Those remaining vines, he says, witnessed all the fads and fashions of the Australian wine industry, from fortified to table wine, and even contributed fruit to Orlando Carrington Blush bubbly in the eighties. The mourvedre plantings had been more extensive, but the Koch family replaced them progressively with more fashionable varieties until Hewitson contracted the last eight rows in 1998. From 1996 Hewitson propagated new vineyards using cuttings from the best of the old vines. These gradually increased the volume of mourvedre available for blending and, after ten years, contributed fruit to a second straight mourvedre, Baby Bush. Hewitson believes we’ll see more straight mourvedre in the near future. He suspects recent sales of Baby Bush and Old Garden to fellow Barossa makers to be for benchmarking their own products. We’ll have to wait and see. But even if more flow into the market, it’ll be a tiny volume. Mourvedre accounts for less than one per cent of Australia’s red plantings, and these vines produce only six to seven thousand tonnes of grapes a year. Production may be small, but it’s a key variety, a great blender, sensational on its own on occasion and now, I’m told, the best grapes fetch very high prices. In the Barossa this means a small army of makers, many of them quite small, hunting down those very special, very old parcels. On glug.com.au, David Farmer notes the long history of the variety in the Barossa Valley and warm inland regions. He warns of the marketing danger of using two names for the one variety, especially given the difficulty of pronouncing “mourvedre” and the much longer usage of “mataro” in Australia. He writes, “To persist with the term mourvedre risks failure as no one is confident in pronouncing it. At Glug we will stick to Mataro as it is a tough, honest sounding and avoids a name which is far too French for our taste. The Barossa Valley Wine Show and Penfolds should do likewise. To get the Australian red wine drinker interested in this wonderful variety will require serious effort and using dual names is a disaster”. Farmer notes that of the 43 straight or blended mataros listed on Dan Murphy’s website, 20 use “mataro”, 22 use “mourvedre” and one uses the Spanish, “monastrell”. Clearly, winemakers remain split on which name to use, though I suspect the pendulum has swung to “mourvedre”, especially among the young. In Wine grapes: A complete guide to 1368 vine varieties, including their origins and flavours (2012), Jancis Robinson lists the variety as “monastrell” and says the evidence points to it being of Spanish origin, with the first known mention of it in the 1380s. She says the variety probably found its way to southern France in the sixteenth century. Call it what we will, mourvedre remains an important niche variety. Farmer observes from the hot Barossa, as wine writers lean increasingly towards cool-climate wines, “our job is to make customers aware of long established varieties like mataro, grenache and carignan and the flavours they develop in a warm climate”. Winemaker Nick O’Leary recently attracted the national limelight, yet again, on Canberra’s great specialties, shiraz and riesling. Nick O’Leary Riesling 2012 won the top-scoring gold medal and trophy at the NSW Wine Awards in October. At about the same time, O’Leary’s shiraz 2011 and Bolaro shiraz 2011 earned gold medals at the Royal Melbourne Wine Show – against shirazes from all over Australia. Bolaro (O’Leary’s new reserve shiraz) shared the top spot with Best’s Great Western Bin 1 Shiraz 2011 – which went on to claim the Jimmy Watson trophy as the best one-year-old shiraz in the show. O’Leary’s success underlines the real legacy of Hardy’s all-too-brief presence in Canberra: the winemaking and vineyard knowledge O’Leary shares with fellow former Hardy winemaker, Alex McKay; and dozens of small independent grape growers attracted into the business by Hardy contracts. The big dollar items – motivated largely by ACT Government largesse – count for nothing on the Canberra wine scene. The Kamberra winery at Watson remains a white elephant. And who’s heard anything lately of the 80-hectare vineyard just upstream from the lower Molonglo sewage farm? Canberra-raised O’Leary credits his first wine mentor, the late Jim Murphy, for fanning his enthusiasm for wine. Working at Market Cellars, O’Leary frequently tasted old shirazes and rieslings from Murphy’s private collection. “Jim was hard but fair as a boss and not shy in opening good wines for his staff”, recalls O’Leary. Later the young O’Leary enjoyed work experience alongside his uncle David O’Leary (now of O’Leary Walker) at Annie’s Lane winery in the Clare Valley. But the real wine knowledge came after he joined Hardy’s Kamberra winery as a cellar hand under winemaker Alex McKay. He worked his way up the ranks, becoming vintage assistant winemaker, cellar supervisor then night-shift winemaker. “It was a nursery of learning”, says O’Leary, as the winery processed a range of varieties from Canberra, Tumbarumba, Hilltops and Griffith. Kamberra participated in a number of winemaking trials within the larger Hardy’s group and McKay, exposing McKay and himself to large-scale tastings across numerous wine styles. Hardy’s departed Canberra shortly before the 2007 vintage. But O’Leary found it easy to stay on, despite the risks of embarking on his own business. He’d been making small batches of his own wine from 2004. And he’d developed a relationship with Amy Affleck, daughter of Affleck Wine founders, Susie and Ian Affleck. From 2007 he made wine for the new Nick O’Leary label from their winery out on the Bungendore escarpment. The Afflecks continue to make their own estate-produced wines there. But in time for the 2010 vintage, O’Leary completed major upgrades to the winery, particularly in adding refrigerated storage for 60–70 thousand litres of wine. The wines have been in the front ranks right from the beginning. And this gets down not just to good winemaking, but nurturing relationships with the 16 grape growers he and Alex McKay source their raw materials from. The recently successful wines, and another yet unreleased, tell the story of that relationship and how good husbandry in the winery completes the circle. O’Leary sources the grapes principally from Wayne and Jennie Fischer’s Nanima vineyard, Long Rail Gully vineyard and Four Winds vineyard at Murrumbateman, with the balance from the Karelas family’s Westering vineyard, Lake George. He says he harvested 60 per cent of the fruit before the big rains and remaining grapes on the first sunny day afterwards – a narrow window before the fungal disease botrytis cinerea took over. Selective hand picking ensured largely sound fruit arrived in the winery. There O’Leary gently pressed the whole bunches, avoiding extraction of phenolics, then cold-fermented the wine using a neutral sparkling-wine yeast. The latter means no extra aromatics to interfere with the naturally floral character of Canberra riesling. Demonstrating the variability of show judging, the wine won, in the space of a few weeks, a bronze medal at the Canberra Regional Show, nothing at the International Riesling Challenge and the top gold and trophy at the NSW Wine Awards. Tasted at leisure, it reveals floral and lemony varietal aroma and similar flavours on the intense but delicate palate. The high natural acid of the vintage accentuates the flavour intensity and suggests good cellaring ahead. O’Leary holds a reserve 2012 riesling in the cellar for release later this year at around $40. He says it’s a 50:50 blend of material from Westering and Nanima vineyards. The latter comprises two new clones, Geisenheim and Pewsey Valley, established on a separate block at the request of O’Leary and McKay. O’Leary says this wine demonstrates the benefits of good vineyard management and liaison between the growers and makers. Good growers, especially after the destructive 2011 season, realised the need for intense vineyard management and crop reduction to suit the season. At Nanima vineyard, “driving force of the wine”, a well-drained site helped, but “great also great management” produced the goods, says O’Leary. The Fischers shoot thinned, and at veraison dropped half the fruit off the vines, enabling greater flavour concentration and quicker ripening. He sourced the remaining high quality grapes from Wallaroo Wines, Hall, and Long Rail Gully, Murrumbateman. The wine contains about five per cent viognier, though this is not obvious in the aroma or flavour. Judges awarded a gold medal in Canberra as well as Melbourne. This is magnificent cool-climate shiraz – revealing Canberra berry fruit, spiciness and even a touch of pepper, emphasised by the cold vintage. The medium bodied palate presents, too, a savoury element and a pleasing, lean, dry palate – though the fine tannins provide adequate flesh. By a strange quirk of fate, this wine shares more than an equal billing at the Melbourne show with Best’s Great Western Bin 1 Shiraz. O’Leary explained, “In Canberra Hardy’s recommended clones from their experience in South Australia. Most didn’t work. It’s expensive but more suitable once are being introduced”. In this instance the Fischer’s grafted the Great Western clone onto the roots of a lesser clone. “It’s one of the great shiraz clones for Canberra”, says O’Leary. And its first outing tends to confirm that. The Melbourne judges ranked it slightly ahead of the standard shiraz –perhaps noting the extra savouriness, flavour depth and firmer structure of a very classy, cellarable wine indeed. “I made Bolaro for the future”, says O’Leary. Canberra’s Ravensworth Wines topped the honours list at the Canberra International Riesling Challenge 2012. Ravensworth Riesling 2012, made by Food and Wine columnist Bryan Martin, and owned by Martin and his wife Jocelyn, won a gold medal and three trophies. The judges rated it best Canberra District riesling, best Australian riesling and, in a first for a Canberra riesling, best wine of the show – against 426 contenders from six countries. Show organiser Ken Helm, a Canberra riesling legend himself, welcomed Ravensworth’s success, especially for winning best wine of show trophy. He said, “This is exciting as it shows beyond doubt that Canberra is up there with Australia’s best”. Helm said the chair of judges, Ben Edwards, rated quality across the board as the highest in the time he’s judged there. The impressive medal strike rate supports this view. The 426 wines judged won 278 medals (51 golds, 60 silvers and 167 bronzes), for an overall success rate of 65 per cent. While Ravensworth brought home the bacon for Canberra, our district provided little support for the event, entering just 12 wines in total across five categories, and underperforming the overall field with a medal strike rate of 58 per cent. We won one gold, one silver and five bronze medals. In the important class for 2012 vintage dry rieslings (less than eight grams per litre of sugar), Canberra fielded just six wines and won two bronze medals. Compare this performance to the September regional wine show, where 12 Canberra 2012 vintage dry rieslings won nine medals, including three golds. Admittedly, the class definitions of the two shows vary slightly, so that Ravensworth at 11 grams per litre of sugar, moved from “dry” in the regional show to “semi-dry” at the challenge. But the change of classification doesn’t explain the startlingly different ratings – bronze at the regional, gold and ultimately trophies at the challenge. As well, Gallagher 2012, Nick O’Leary 2012 and Mount Majura 2012 – all medal winners in the regional show – failed to rate in the challenge, a variance that’s hard to understand. Perhaps the high acidity of the Canberra rieslings worked against them in this broader environment. Certainly our wines tend to blossom with age as the fruit comes through. And it’s worth considering the top gold medallist in the regional show, Clonakilla 2012, and the top Canberra wine of the challenge, Ravensworth 2012, have a sugar levels of 10 and 11 grams per litre respectively – sufficient to take the edge off the acid and not taste sweet. If we look only at the classes for 2012 dry rieslings, several regions outperformed the overall medal strike rate of 65 per cent. This supports the growing view of 2012 as an exceptional riesling vintage. Western Australia’s Great Southern region, for example, won 16 medals (two gold, five silver and nine bronze) from 19 entries, an 84 per cent strike rate. Clare Valley, the traditional heartland of dry Australian riesling, entered 38 wines for a strike rate of 76 per cent – four golds, six silvers and 19 bronzes. I’ve tried many of these wines and they really are delicious and well priced. Most are already soft and ready to drink. The Eden Valley, Clare’s southern neighbour on the Mount Lofty Ranges, fielded 25 wines to win five gold, four silver and nine bronze medals – a 72 per cent strike rate. And tiny Tasmania entered 10 dry riesling from the 2012 vintage to win two golds, two silver and three bronze medals – a 70 per cent strike rate. While riesling remains a perennially niche variety in Australia, its sales a fraction of those of sauvignon blanc or chardonnay, it offers wonderful drinking, great cellaring and quite often amazing value for money. The trophy winning Ravensworth 2012, for example, sells at just $20 and its podium mate, Richmond Grove Watervale 2011, often specials at around $18. These are bargain prices for such beautiful wines – the latter with proven long-term cellaring potential; the Ravensworth untested, but likely to do the distance. The honours list includes dry, half dry and sweet styles from many different regions and, indeed, from other countries, and from a spread of vintages. The successful older wines provide some guidance to the cellaring ability of younger wines. Indeed some of the most cellarable rieslings perform poorly at shows in youth, but blossom after a few years’ bottle age. Canberra’s first grand champion of the riesling challenge almost didn’t exist. 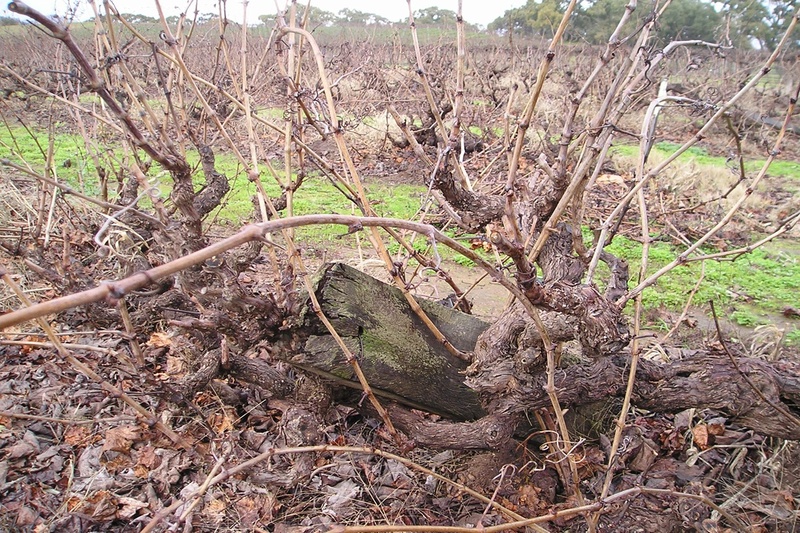 Winemaker Bryan Martin says hail stripped the vines almost bare, then 200mm of rain threatened the remaining crop with botrytis cinerea, a potentially destructive fungal disease. But he sprayed the vines, spread anti-bird netting over the top and waited. The grapes ripened at comparatively low sugar levels and high acidity; and the missing leaves allowed the sun in and moisture out, defeating the botrytis spores. Almost every bunch, however, included withered berries, the result of direct hail hits. So the picking crew cut the damaged fruit from every bunch before delivering it to nearby Clonakilla winery, where Martin works as a winemaker. The labour intensive work pushed Martin’s harvesting cost out to $1200 a tonne, he says. In the winery he chilled the fruit to below 10 degrees Celsius in small, broad, flat bins. The shallow bins helped keep the berries intact, thereby avoiding release of phenolics, or tannins, into the juice. And chilling the whole bunches before crushing them in a gentle air-bag press, helped extract fine, phenolic-free juice. Martin says he held back the last 100 litres – the product of the final, firmest pressing – as unfermented juice to blend back into the finished wine. A cool fermentation captured the delicate riesling flavours in a bone dry and very acidic wine – a result of the unusually cool ripening period. Martin balanced the acidity by blending a small amount of unfermented juice into the wine. The addition gave the wine a natural grape sugar content of 11 grams per litre. This subtly fleshed out the middle palate, without being discernibly sweet, reducing the impact of the potentially mouth-searing13 grams per litre of acid. Until this year, says Martin, he sold his riesling grapes to Clonakilla. He made just 150 dozen bottles. Alas, the wine sold out at just $20 a bottle on withing days of the trophy presentation.